Finding ways to engage with consumers over social media can be a difficult process. Competition is fierce and gaining the attention of an audience is no simple task. An even harder task is converting social media leads into sales. One strategy to boost your social media presence and to increase sales is giving incentives to your audience. Here are a couple of creative ways to make social media engagement more enticing for existing or potential customers. Sharing sweepstakes on social media can be a great way to increase engagement, especially if sharing the brands pages is a requirement or they receive additional entries for referring others to the sweepstakes. When participants advertise their involvement it gives the contest more credibility and can increase the audience that will be exposed to your brand. When creating sweepstakes offers try to offer multiple prizes instead of just one. With more prizes the chances of winning appears to increase, which can lead to higher participation. There are tools available to help with the process of setting up the sweepstakes and analyzing resulting activity. One company, Parrut builds open scripts which allow you to add in your own creative elements to create a sweepstakes entry page, can provide hosting and an analytic dashboard that shows how many likes or shares and how many new subscribers you have or click-throughs. Foursquare has become a highly popular platform for people to share their location with others through social media. Through foursquare members can gain badges for check-ins or even earn the title of mayor for checking in the most frequently. Adding real world incentives to these virtual rewards can boost your check-ins, increasing exposure and the reputation for your business. You can offer special prizes for earning certain badges and some businesses offer discounts or special deals for mayors. Another option could be offering something in return for checking-in for the first time. By giving an incentive, other than bragging rights, for check-ins could increase activity from existing customers and likely increase brand awareness for your business. 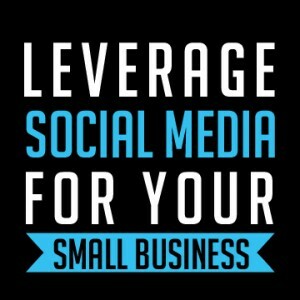 The best way to increase your social media audience is for your current followers to share your work with their online social circles. Incentivising the sharing process can encourage more sharing from your followers and create more loyalty. To assist with the process there are tools available online to set up loyalty programs that reward followers for sharing social media post about your business. A new platform that combines local, mobile and social elements to marketing is Kapture. This new mobile marketing platform lists participating businesses in the users local area and rewards them for sharing photos on social media. Rewards can be redeemed immediately or at another visit. One such example is Bretano’s, a custom framing shop and art gallery. When users share a photo on Facebook or Twitter using Kapture they receive a 15 percent discount on their next framing order. At the moment businesses can launch Kapture promotions free of charge.